Below you fill find all funeral homes and cemeteries in or near Azle. Suburbs of Azle: Pelican Bay. Their current mayor is Mayor Craig Lemin. Zip codes in the city: 76020, 76098. Parker County funeral flowers can be purchased from one of the local funeral shops we partner with. Some of the notable people born here have been: (les peden). It was disclosed on January 24th, 2019 that Dwayne D Simon perished in Azle, Texas. Simon was 86 years old and was born in Rose Hill, KS. Send flowers to share your condolences and honor Dwayne D's life. It was revealed on May 3rd, 2016 that Thomas John Sirignano perished in Azle, Texas. Sirignano was 79 years old. Send flowers to share your condolences and honor Thomas John's life. It was disclosed on November 5th, 2015 that Wilma Jean Snider (Wiliams) died in Azle, Texas. Ms. Snider was 83 years old and was born in Murphysboro, IL. Send flowers to share your condolences and honor Wilma Jean's life. It was revealed by Wise County Messenger on September 9th, 2015 that Alice Irene Jones (Neece) passed away in Azle, Texas. Ms. Jones was 75 years old. Send flowers to express your sorrow and honor Alice Irene's life. It was written by Wise County Messenger on July 11th, 2015 that Michael Dwayne Oates passed on in Azle, Texas. Oates was 65 years old. Send flowers to express your sympathy and honor Michael Dwayne's life. It was revealed by Wise County Messenger on July 8th, 2015 that Sherry Dalynn McDaniel (Moore) passed away in Azle, Texas. Ms. McDaniel was 47 years old. Send flowers to express your sorrow and honor Sherry Dalynn's life. It was revealed by Wise County Messenger on May 16th, 2015 that Bonnie Sue Wyatt (Smith) passed on in Azle, Texas. Ms. Wyatt was 73 years old and was born in Gordon, AR. Send flowers to express your sorrow and honor Bonnie Sue's life. It was disclosed by Wise County Messenger on December 27th, 2014 that Lawrence E Alexander perished in Azle, Texas. Alexander was 61 years old. Send flowers to share your condolences and honor Lawrence E's life. It was revealed by Wise County Messenger on December 20th, 2014 that Joan Oglesby (Bolton) passed on in Azle, Texas. Ms. Oglesby was 62 years old. Send flowers to express your sympathy and honor Joan's life. It was disclosed by Wise County Messenger on December 13th, 2014 that Larry Dean Reeves died in Azle, Texas. Reeves was 67 years old. Send flowers to express your sorrow and honor Larry Dean's life. Several crops were grown, including wheat, Maize peanuts, sorghum, and cotton. 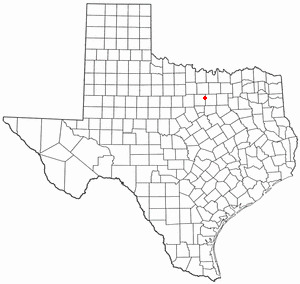 Azle is a city in Parker County, Texas and Tarrant County, Texas Counties in the US state of Texas. After the 1930s, agriculture gradually declined; fields were converted from wheat and corn production to housing developments. The population grew to 9,600 by 2000. Kathleen E.
The official website for the city of Azle is http://www.cityofazle.org/. Adele spent the past six years in Azle, Texas to be near her daughter ... Memorials to her memory for Park Avenue Baptist Church may be left with Carlson Funeral Home where friends may call. Find funeral directors & Funeral Directors in Azle, TX. Read business reviews, find driving directions, and more. funeral directors on YP.COM. We work with local florists and flower shops to offer same day delivery. You will find budget sympathy flowers in Azle here. Our funeral flowers are cheap in price but not in value.